Italy is one of the world’s famous destinations. Renowned for its art, history and food, Italy is an exciting country that offers something for everyone. Take your time to explore cultural centres, Renaissance art, beautiful beaches and other Italy destinations you must visit during your travel. Italy is the world-famous centre of Renaissance art, history, food and fashion, so there are many activities you can do during your stay. Many tourist choose to explore Italy through organized tours, particularly the ones focused on art and history. Italy is known for its long artistic tradition and it’s the world’s most important centre of Renaissance art, so this is something you must see during your visit. Many cities offer plenty of sightseeing opportunities, particularly when it comes to churches, museums and art galleries. Depending on the city and region you can admire the works of famous artists of visit some of the most beautiful cathedrals in the world. Those interested in archaeological sites and Roman period will love to travel through Italy to visit many important places from the antiquity. Italy is known for its rich history that can be witnessed in almost any city in the country. 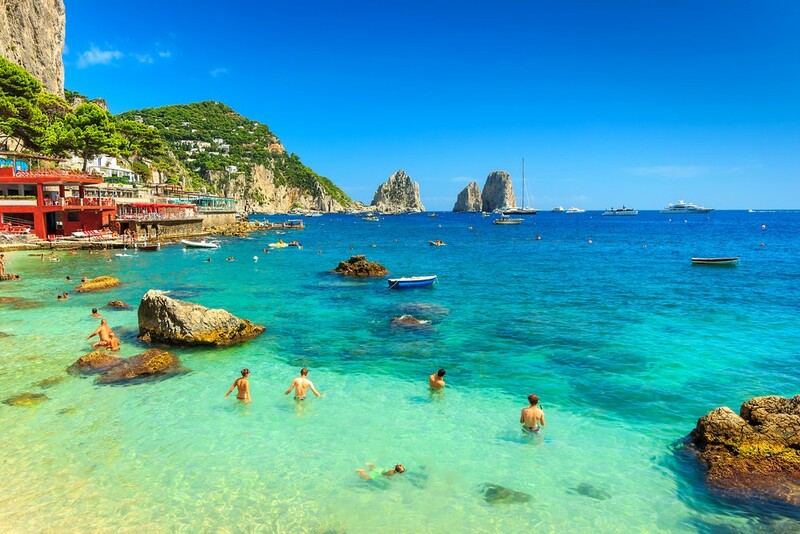 People who are looking for a place to spend a relaxing holiday will love Italy’s long beaches. The country is known for its beautiful coastline and turquoise sea. There are many sand and pebble beaches to choose from and so many holiday resorts for those looking for a place to stay. Italy is also known for its picturesque towns and lovely villages. Its vineyards are world famous and produce some of the best wines in the world. If you are looking for a relaxing experience of an Italian countryside there are lovely places to visit all over the country. There are many must-see destinations you need to visit during your stay in Italy. 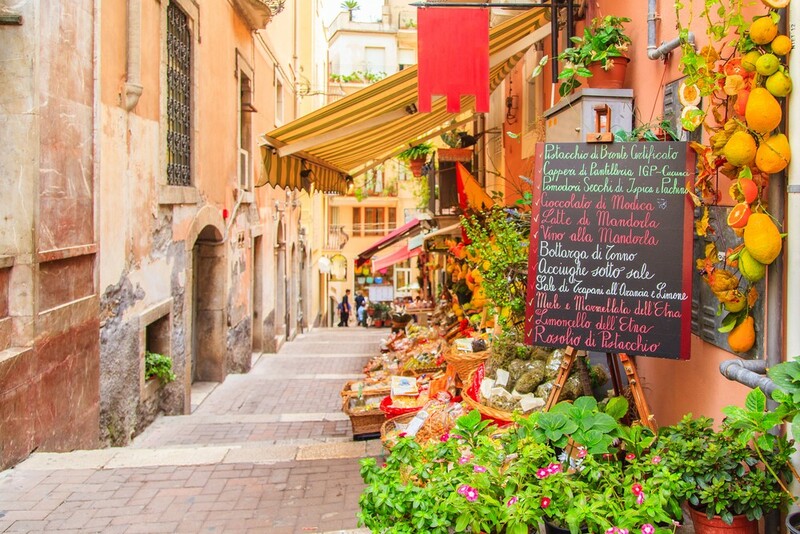 Explore Italy’s food, cities and beaches for the best holiday experience. The country has many exciting destinations to offer so you will find the ones that match your idea of a perfect holiday. 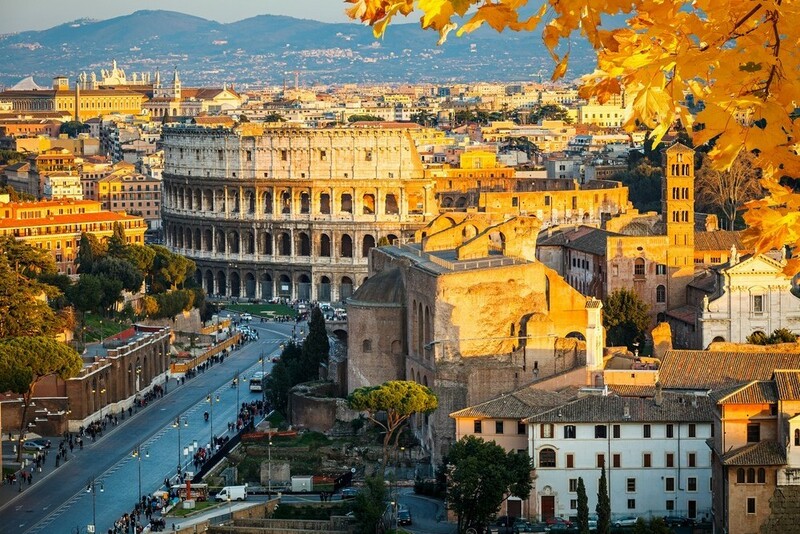 Rome is one of the most beautiful cities in the world and the most famous tourist destination in Italy. This stunning city has a lot to offer to visitors of all kinds. It has great food, historical monuments, shopping centres, and more. Rome is a great city that combines old and new. You can feel its history in the old buildings, ruins from the Roman era, medieval architecture and historical bridges. Those who appreciate a more contemporary holiday experience will sure enjoy shopping centres, great food and luxurious accommodation. Rome is a well-known cultural centre for those who like art and history. During your stay in Rome, make sure to visit the city’s most famous attractions, such as the Colosseum, the Trevi Fountain, the Roman Forum and Palatine Hill or the old Ponte Sisto Bridge. 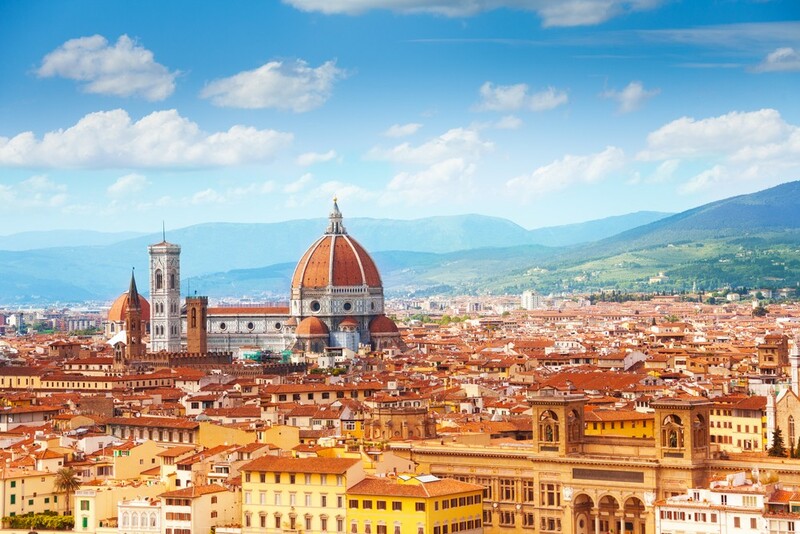 Florence is known as the birthplace of the Renaissance. This magnificent city is the right destination for all fans of the Renaissance art. The city is the home to some of the best art museums in the world, such as Galleria dell’Accademia, the Uffizi Gallery the Bargello and the Palazzo Pitti. However, the city has a lot to offer even beyond museums. It is known for its wonderful architecture, particularly the historic palaces and churches. Some of these palaces are homes to famous art galleries, so make sure not to miss them. Those looking for additional activities to do in Florence will love to explore the newer part of the city, Oltrarno or spend time at the Boboli Gardens. 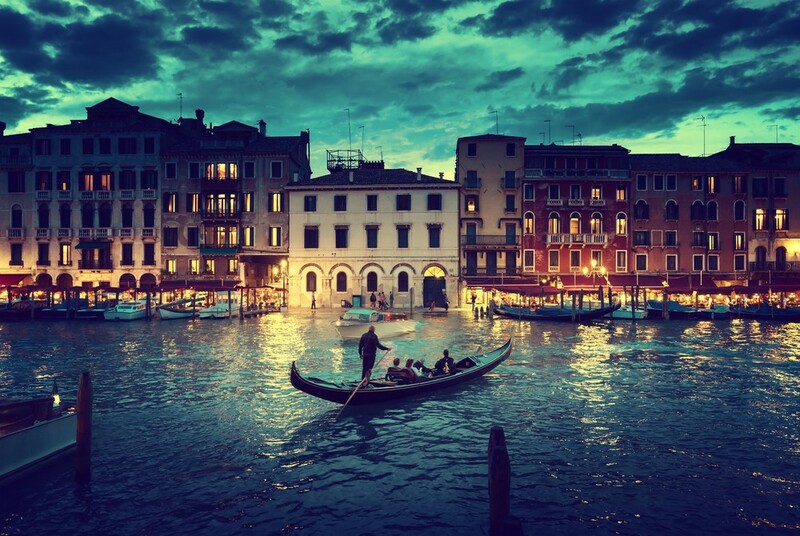 Venice is known as one of the most romantic cities in the world. Located on the Adriatic Sea in northern Italy, this beautiful city is built on the water, which makes for a spending visitor experience. Venice is actually built on top of an archipelago consisting of 118 small islands. The streets are small and various parts of the city are connected by canals. 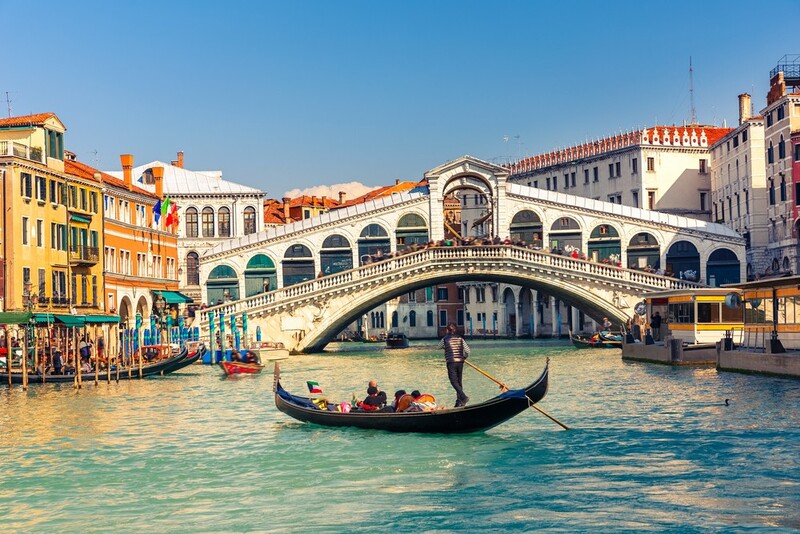 Out of all canals, the most famous is the Grand Canal. Don’t miss a private gondola ride along the canal while you enjoy your view of Venice. Other places to visit in Venice include the Basilica on the Saint Mark’s Square, Rialto Bridge and Doge’s Palace. Pompeii is one of the most famous ancient Roman sites. Situated near Naples, the ancient city of Pompeii was destroyed in the eruption of the Vesuvius in 79AD. The city was excavated in the 18th century so it is today visible for visitors. It is interesting that most of the architecture was preserved in a great condition since it was fossilized under the volcanic ash. This is a great place for all those who like history and archaeology. 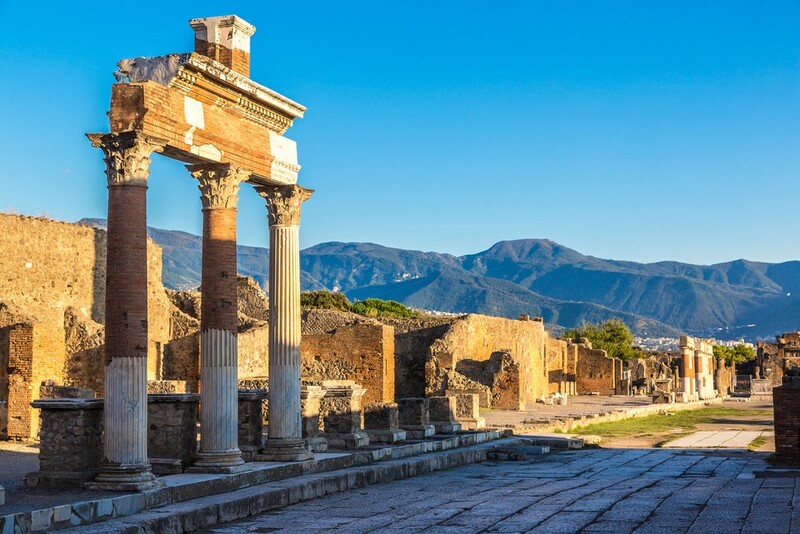 During your stay in Pompeii, make sure to visit the Villa of Mysteries, Temple of Apollo, Temple of Jupiter and the House of the Tragic Poet. The more adventurous will love to visit the nearby Mount Vesuvius. There is a hiking tour you can take to climb to the crater. Capri is a small Italian island located in the Bay of Naples. It is considered one of the most beautiful islands in Italy and it is a popular tourist destination. It is probably best known for the beautiful Grotta Azzura (Blue Grotto). Blue Grotto is a cave located at the sea level, with a small opening that opens and closes at tide. It has been used as a bath since the Roman times. The only way to go inside the Blue Grotto is with a small rowboat and even that is dependent on the tide. It is worth a wait, though: the inside of a Blue Grotto is mesmerizing and something you sure need to experience. Pisa is one of the must-see destinations in Italy. Known as one of the most famous places in Italy, Pisa is popular among visitors because of its Leaning Tower. The Leaning Tower of Pisa is actually a freestanding bell tower of the city’s cathedral. It was built in the 12th century and its tilt began during the construction. Experts say that the reason for the tilt was a bad foundation on one side of the tower. The improper foundation and soft ground made it impossible to support the tower’s weight. The tilt of the tower gradually increased over the centuries, reaching dangerous levels, until the tower was stabilized a few decades ago. The Leaning Tower of Pisa is a great spot to visit: climb the tower’s 296 steps to the top and enjoy the view. Also, Pisa offers many other attractions you should visit during your stay, such as the Cathedral of Saint Mary of the Assumption, Santa Caterina and Pisa Baptistery. Naples is one of the most exciting cities in Italy, known for its delicious food and exciting night life. It is said that some of the Italy’s most famous national dishes, such as pizza and pasta, originally came from Naples. The city is also a great stop for those who appreciate vibrant night life and shopping. 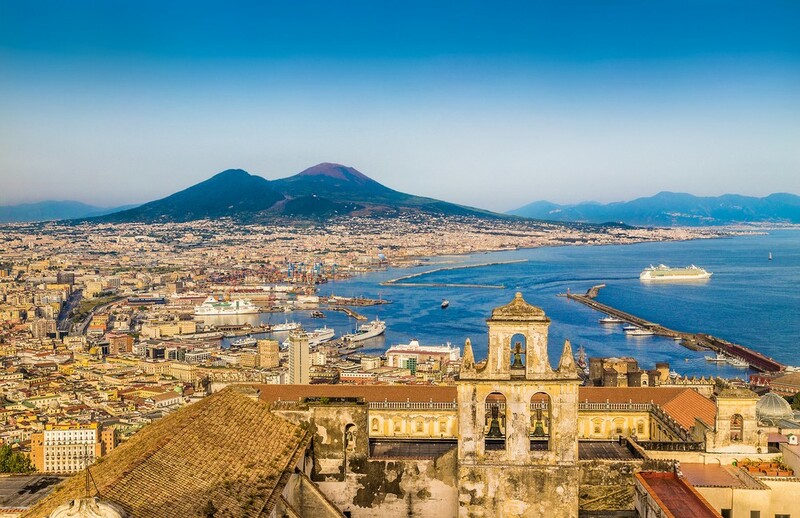 Naples makes a great base for those who wish to explore the broader area of Southern Italy: it is located in the close proximity to some of the most exciting destinations you should sure visit during your stay. Pompeii, Capri and the entire Bay of Naples are a places to go, especially if you want to make Naples your base for exploring the area. Vatican City is located within the city of Rome and it is the official seat of the Roman Catholic Church. This is also the smallest country in the world: it covers the area of 44 hectares (110 acres) and a total population of about 800. Most of the citizens of Vatican are members of the clergy. 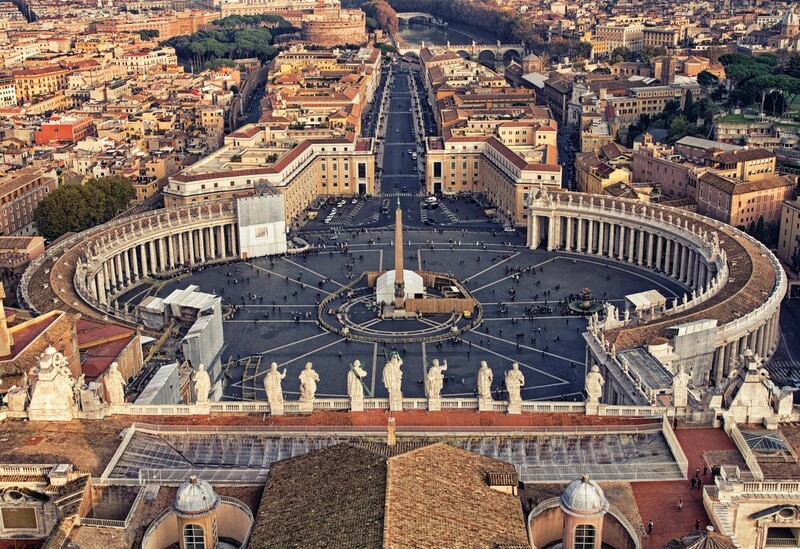 Vatican is a must-see destination for those travelling to Rome. There are numerous churches to visit, such as the St. Peter’s Basilica and the Sistine Chapel. You should also visit Vatican gardens and the Piazza San Pietro. Those interested in art should take a tour through Vatican museums to see the works of the numerous Renaissance artists. 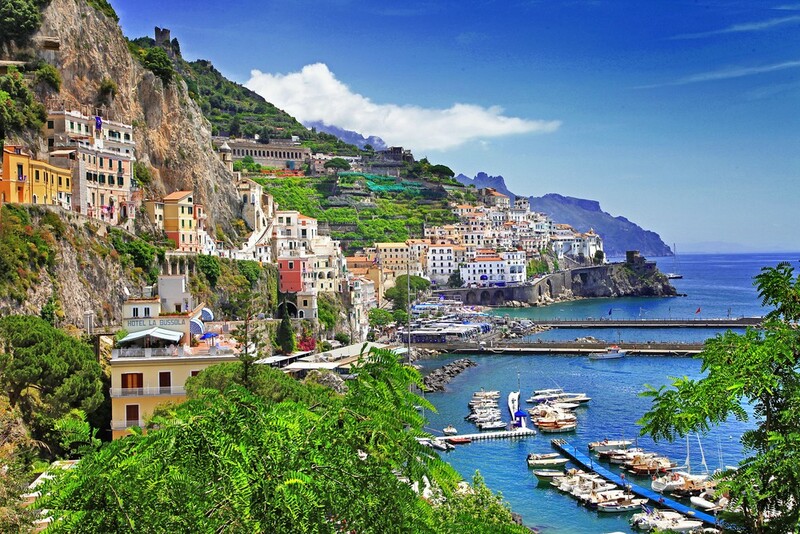 Amalfi Coast is a real treat for those who like Italian Riviera. It has it all: turquoise sea, sunshine, beautiful beaches and charming coastal towns. Amalfi Coast is situated on the Soreento Peninsula and it covers about 30 miles of the dreamy bays and picturesque towns. This is a great place for those who like beaches and a true sea holiday. During your stay, don’t forget to visit towns along the coast. The most popular one is Ravello, known for its restaurants and beautiful villas. The town of Amalfi is famous for its lovely plazas while those seeking a perfect spot for a romantic getaway will love the town of Positano, known for its beautiful houses and gorgeous pebbled beaches. 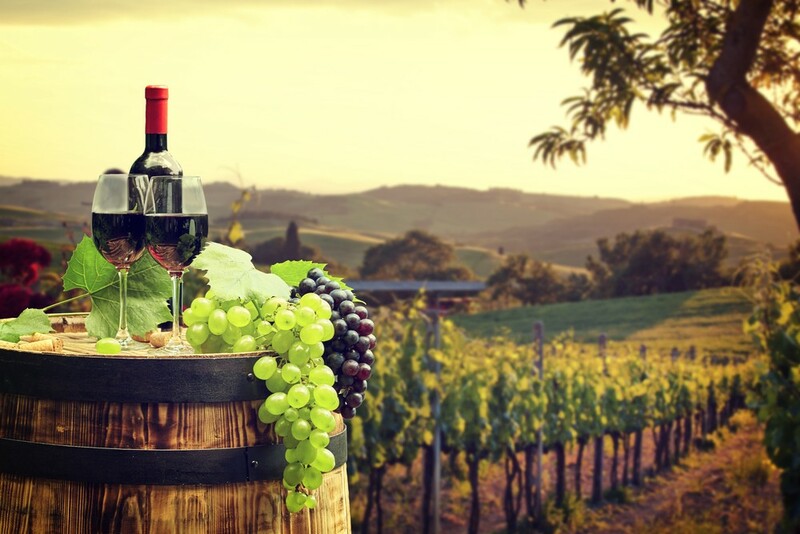 Tuscany is a real treat for those who love wine and appreciate a calmer, more relaxing holiday experience. This is a beautiful, rustic area known for its vineyards and rolling mountains. It is a perfect place for those who wish to explore the atmosphere of an Italian countryside. Chianti is the home of the world’s best wines so this is a perfect spot for those who wish to try a premium Italian wine. Those interested in Renaissance art should explore Siena and San Gimignano. 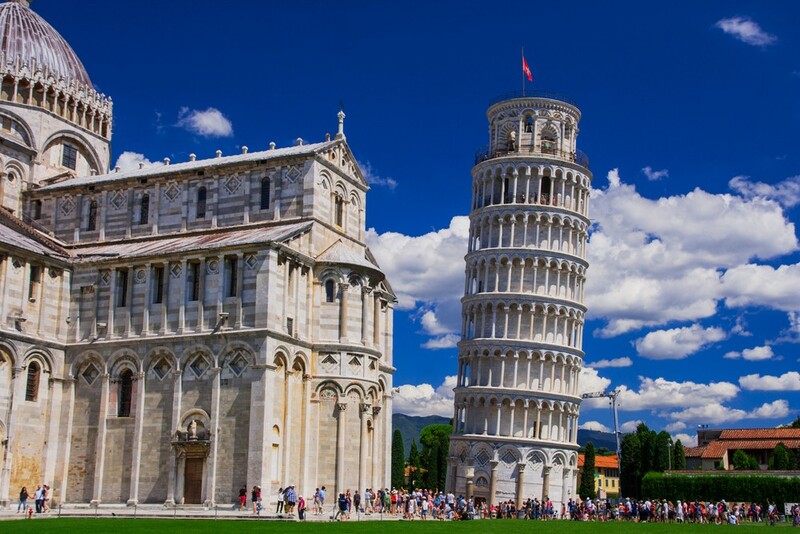 During your stay in Tuscany don’t forget to visit the Leaning Tower in Pisa and the beautiful island of Elba. Sicily is an exciting island and one of the Italy destinations you must visit during your stay in the country. The largest island in the Mediterranean Sea, Sicily is known for its great beauty. The most famous natural wonder of Sicily is Mount Etna, which the tallest active volcano in Europe. There are also some great beaches and small towns in Sicily that will make for a great stay. Sicily is famous for its culture, history and art. There are numerous Roman sites you can visit during your stay, such as Valle dei Templi and Imperial Roman Villa. Those interested in other historical periods will love baroque churches in Palermo, as well as numerous castles located all around Sicily. Bologna is the home to the oldest university in the world. Founded in 1088, the University of Bologna is known for its academic achievements and beautiful campus. The city is known for its architecture and food. Visit Piazza Maggiore and Quadrilatero, Basilica di San Petronio and the Two Towers. Bologna has great museums, such as Museo della Storia di Bologna, the Museum of the History of Bologna. 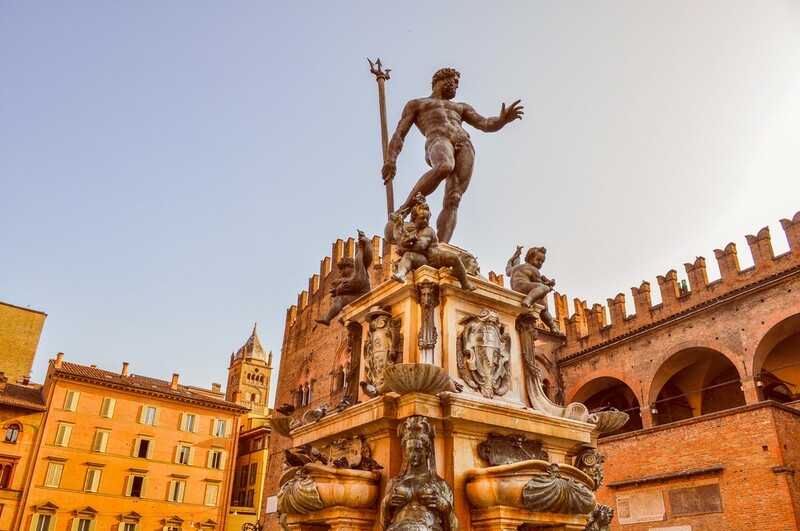 Known as a great city for students, Bologna is also famous for its food, so this is something you should not miss during your stay in this beautiful city in the Northern Italy. Cinque Terre is a group of five coastal villages situated in the Northwestern Italy. These lovely villages, known as “Five Lands” (Cinque Terre) are known for their colourful houses and stunning landscapes that surround them. 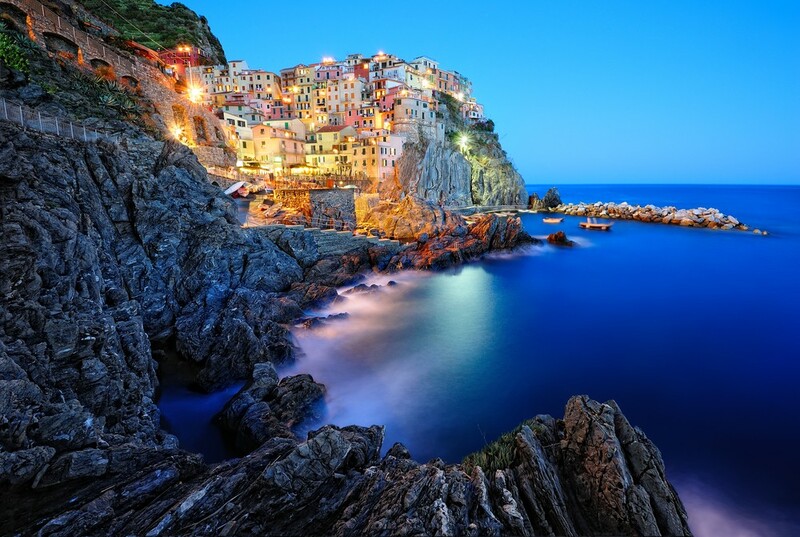 The five villages that make up Cinque Terre are Riomaggiore, Vernazza, Monterosso al Mare, Corniglia and Manarola. They are connected through Blue Trail road. To explore all of the villages in the group, take a hike and stop to admire all that Cinque Terre has to offer. Houses painted in vibrant colours, steep cliffs, sunny bays and wine terraces make up some of the most beautiful scenes you can see in all of Italy. 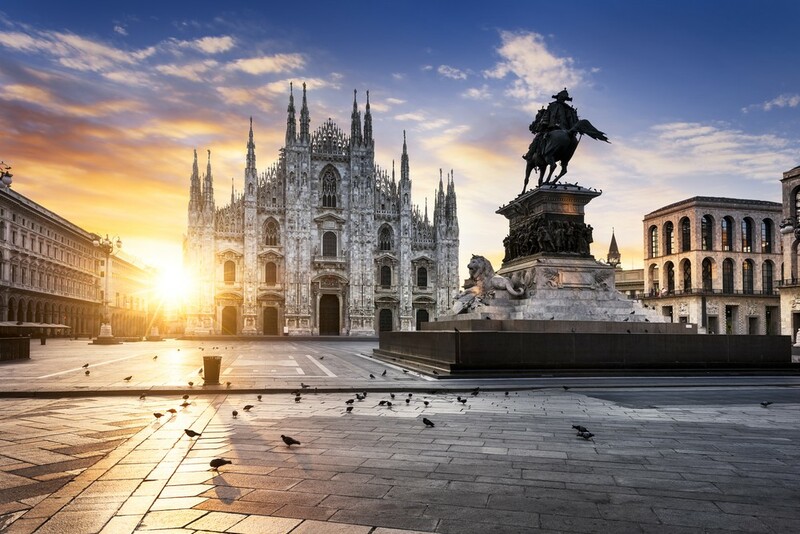 Milan is the world’s famous centre of fashion and shopping. It is also a beautiful city renowned for its art and history. Those interested in designer shops and famous brands will love Milano. However, the city has a lot more to offer than shopping opportunities. This is the home of Leonardo da Vinci’s famous painting, “The Last Supper”, located at the Convent of Santa Maria delle Grazie. Other places to visit are La Scala Opera House, the Castello Sforzesco and the Cathedral of Milan. This is a glamorous, beautiful city you will enjoy for its numerous opportunities that range from luxury shopping to art and historical monuments. Lake Como is just one of the beautiful lakes in Italy’s famous Lake District. 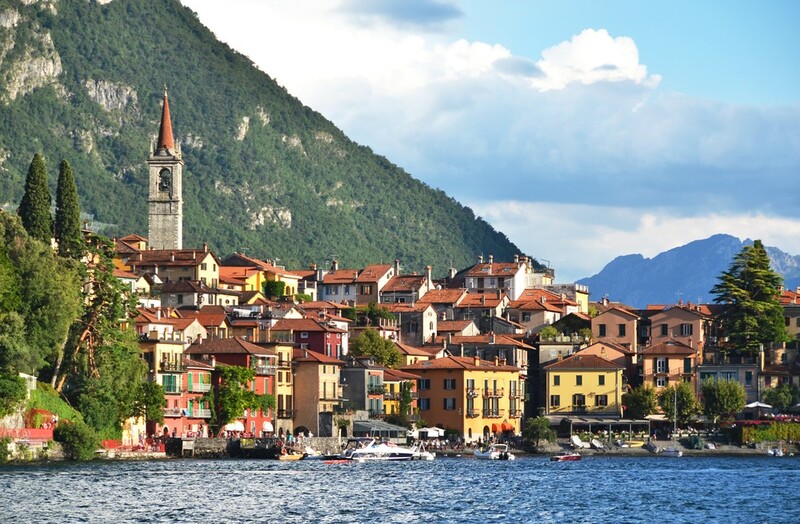 Located in the northern Italy, Lake Como attracts visitors from all over the world. This lake and, indeed, the entire Lake District, offer visitors an opportunity to witness a different Italy. The lakes are situated on the foot of the Alps, so there are many different landscapes to visit. Start with the southern lakes located in the plains and go all the way up to the northern lakes in a mountainous terrain. This is a great tour to experience. Out all of the lakes, Lake Como is by far the most famous one, but do not forget to visit the other, lesser known lakes in the district, such as Lake Maggiore. This lake is famous not just for its beauty but also because it shares its borders with Switzerland.